This chap is brilliant at making a complex subject sound fairly straightforward. This is advanced stuff. Alternate scales for dominant modes. Summary of what this website says. His description is brilliant - a very complex subject. only two scales to learn Thelonius monk used this a lot. you can't listen to him for long with Care in the Community coming to the rescue. built on the ♭5 and arpeggios of the major triad built on the #5. 4 notes are common to both chords. The upper half of one is the lower half of the other. If a jazz theorist is in a room with no one in it, is he really in the room? IF YOU SIGN UP AS A "FOLLOWER" YOU'LL GET ALL THE POSTS. Go bottom right of the blog and you'll find it there. TWO KIDS MESSING AROUND WITH JAZZ. BRILLIANT. We met at the Snowdrop in Lewes. Monday nights are terrific there. "Melody gets the interest of the listener," he said. Rhythm for him also encompasses the groove the time feel. He had just seen Larry Goldings trio at Ronnie Scotts the previous night. He said they were tremendous, "Part of the reason is that they are totally locked in together, they've been playing together for over 20 years. That makes a big difference." He sometimes plays references to the tune usually in the last chorus. I asked him about what Alan Barnes calls "shapes". He said that playing shapes help the continuity in the music. "When everyone knows the song and harmonies inside out then can play more intuitively. "When we are not sure, then we tend to concentrate on ourselves and what we are doing and we play less together. 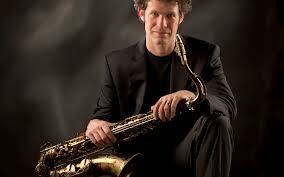 He thinks that as well as being an art form jazz can be seen as a sport, as a game to be played with rules. This side of it it is more about having tremendous fun in the moment with other musicians rather than being focussed on being especially innovative, although there is always some chance that this might happen too. Terry studied at Eastman School of Music, New York. Toured world wide with Joe Lee Wilson (US jazz singer). Performed in Brighton & London with his own groups & leading frontliners - Chet Baker, Jimmy Witherspoon, Sonny Stitt, Harry Eddison, Archie Shepp, Jim Mullen, Bobby Wellins. Leader of Cubana Bop and creator of Milestone's the Miles Davis tribute. Discussion about Jazz with Andy Williams from Pevensey Bay. Truly top class jazz guitarist. Asked about his attitude when playing to harmony/melody/rhythm and their relative priorities for him, he was unequivocal in the reply. "Rhythm" he said, "is definitely number one" But he also wants to "Respect" the tune. I reckon that is a good word. He does it by referencing the tune during the solo. I heard him, and he really does. He said he knows where is the tune when he is soloing. "The thing about Jazz," he says, "it’s a team effort. I think that jazz people hear different things from the audience. 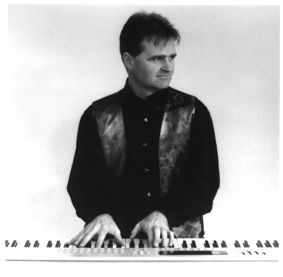 I listen to Terry on the keyboard (Terry Seabrook) and he listens to what I'm doing and we can relate to each other instinctively. "If I solo I like to do it so it could be sung. I asked him what he would like to work on a bit more in his own practice, and he said "I would like to connect the changes in a more flowing seamless way" They seemed pretty seamless to me and they certainly flowed. Andy Williams has worked with many of Britain ’s finest jazz musicians. 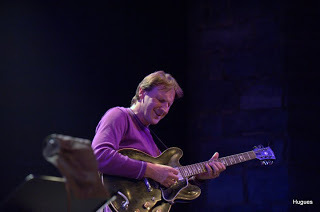 Andy Williams has worked with many of Britain ’s finest jazz musicians, and has performed alongside American Artists such as Tal Farlow, Benny Waters, Warren Vache and has opened for acts such as Barney Kessel and Harry Allen. RESOLUTION. PLAY JAZZ FOR DECENT MONEY THIS YEAR. "Build a better mousetrap, and the world will beat a path to your door"
Or to put it in Jazz terms. "Play better Jazz and the audiences will flock in"
They won't I'm afraid. Neither for Jazz nor mousetraps. Who am I to say? Not a jazz pro, just an enthusiast with a bit of history in another field - marketing. If you want just to play jazz in your own way, in the pubs and restaurants then you can get gigs if you hustle for them, or if other bandleaders ask you in. Most people are there for a chat with friends, or a meal and a chat, and the music is background stuff. Some may come to listen but only a few. It is hardly challenging for a professional. The money is not good. 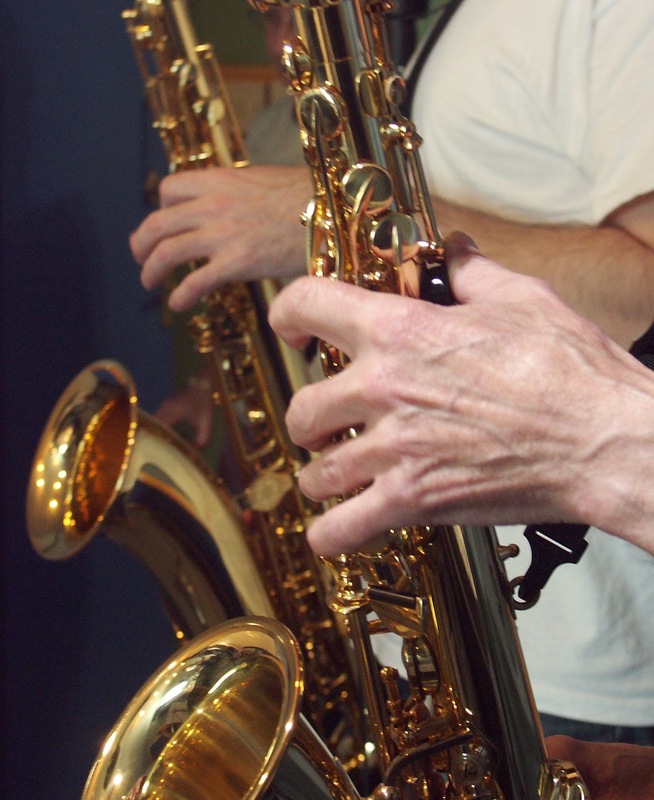 If you want to play for jazz aficionados who know and admire what you are doing, people who listen and appreciate it, then you need to dream up a performance that will get the Jazz clubs involved. They'll get the audience for you around the country. Terry Seabrook has done this with his Milestone's tour, and he is still getting new bookings. What you need is a good jazz idea, a couple of demo tracks and a mailing list of the Club organisers from Jazz Services. Yes, this is challenging, more productive and better paid - sometimes, not always. If you want to use Agents listings and websites then you need a bigger band and to offer something different and exciting. For this you have to attract bigger audiences. Get 300 people in there at £25 a head and you are on the way. How are you going to do that? It may not be the kind of jazz you like, though. If you want to make a national name for yourself then you will need something radically different.Something that will get you on television and in big theatres. We are thinking now of ending up at O2 or Wembley, and CD releases for Christmas, plus Australia and Canada tours. For that, Jazz can't be the main thing, jazz has to be piggy backed with something that will get the numbers in. We are now a long way from playing pure jazz. In other words, if you play to big audiences you'll make big money. Play to 40 people and you won't. For the pubs, just hustle them, find out the ones which play music. Get their email addresses and send them stuff every six weeks. Calling on them is best. Not a big deal. Keep your past venues and contacts on your mailing list and keep at them. The best gigs will come from venues and promoters you've played before. Same with private parties. Do something different but jazz related. Why not a tribute to Dave Brubeck, called Take Five? His name will be recognised for a couple of years yet. Set it up as a quartet, alto, piano, copy some tracks, get the keyboard to play some Brubeck chordal improvs, use some of the Paul Desmond patterns. Otherwise try the MJQ - whatever. Make sure the original band is well known. Don't guess at this. Go to Google Keywords Tool, enter the names of the bands which are a possibility and select the most popular from the searches by the public. (I mean it, this is what every marketing executive does these days). If you play tenor then how about Getz with a Latin singer and do an Ipanema tour? Do a jazz cover version of a big show. Jazz 'n Cats for example. Cats, 3 million UK searches a month. Awful songs. Next is Les Miserables, 200k searches. Phantom of the Opera 165k searches. Theatres to-day get packed out when the old shows of the 1930's are played. Cole Porter's Kiss me Kate played to full houses last year. Can you jazz up a musical? Don't know, it needs a really radical idea. Here is one. You could have your jazz aligned with something else that gets people in. Why not search for a comedian who plays an instrument and who likes jazz. You might be able to teach him a bit. If he plays a guitar you can get him comping. There'll be a few around, and some of them might go for this idea. For the comdian it is original, no one else does it and the material can be kept fresh and different. If the comedian is good, you'll develop the audience. He can take the mickey, get the audience involved, make it a fun night for everyone. Lots of impromptu options. It is different. Look, two hours of one comedian can be a bit tedious, and a heavy strain for a comedian but if it is tied in with music and participation it might be different enough to get a big audience. Get hold of the Brighton Festival Fringe programme, write to the comedians and ask. Its a start. After that, try Edinburgh Fringe. You'll get one in the end. You might not like some of this, sorry. draw 35 year olds. Just ask any radio station. Brand your show in some way. You need to be both distinctive, recognised and remembered. So which jazz people are well known and you might cover? In this country, Jools Holland outpulls Ronnie Scott who outpulls Miles Davis the worlds best known jazz player. Jamie Cullum is next. How are you going to get yourself on that list? You won't do it just by playing clever jazz, you've got to add something to it. Spend as much of your time promoting, selling, getting on agents sites, as you do on practising. Told you you would not like it. Improvise for your audience to love your playing. They won't love all way out stuff. A bit of way out is ok. "Isn't his playing clever?" is one kind of audience reaction. "I love listening to him" is another. Which one is better? Give your audience something to look at. You are in showbiz. Smiling now and again is a good idea. Even smiling at someone else's solo is ok. If you can't do this then get a jazz singer in. He/she will. Don't play clever stuff just for you to admire. Too many tritone substitutes are a turnoff. Don't play too many songs they don't know. A few are ok.